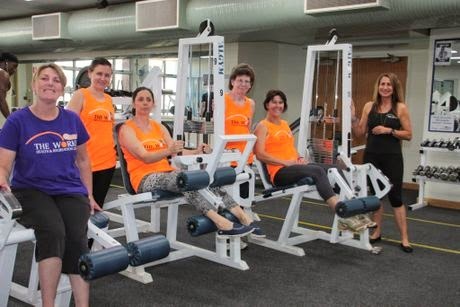 MAY is Multiple Sclerosis Awareness Month, and Shelley Myatt thinks there has never been a better time to launch a new fitness program aimed at keeping people with the condition on their feet as long as possible. Multiple sclerosis is a degenerative condition that affects the central nervous system when the body's immune defences attack the protective coating around nerve cells. The effects are different for different cases, but the main ones are loss of mobility or vision, fatigue, balance problems, pain and cognitive difficulties. The cause is not known, and there is not yet a cure, but people can help themselves in a number of ways, starting with keeping themselves in good physical shape to counter the loss of muscle and co-ordination that is a common symptom. Ms Myatt said a common but less prominent side effect was the loss of social interaction through a combination of limited mobility and difficulty sufferers have finding friends who could really understand what they were going through. She said the fitness program had the added benefit of exposing people with the condition to each other. "MS is such a debilitating condition that it can be really isolating and hard to reach out into the community," she said. "This program would get them out in the community and meeting people who have similar experiences to themselves. "We already had an MS exercise group, and I know the women in the group always go for a coffee after the session and help each other through the good and bad times." She said the new program had been developed in consultation with MS Queensland, which was also working towards either funding the program or at least subsidising it. The program is set to launch on May 13 with a meet and greet, a tour of the gym and a cuppa, with the first class to be held a week later. To register or find out more, call 46311588.